Over the past five years, Kenosha County has secured $1.4 billion of new and expanding industrial, capital investments including the announcement of 10,700 new jobs. By the next census, Kenosha is on track to be the third largest city in the state of Wisconsin, experiencing a growth rate of 12.5%, well above the national and state demographic trends. To complement industrial projects absorbed already, and with added manufacturing commitments from Haribo and Foxconn coming, leaders from the community set out to spread this story to national and regional developers specializing in retail, residential and mixed use opportunities. Attending and being prepared for global retail conferences allows Kenosha County to reach developers that may not be familiar with the high level of investments being made in our market. Director of Planning & Development for Kenosha County, Andy Buehler and Heather Wessling, Vice President of Economic Development for the Kenosha Area Business Alliance (KABA) led an effort to assemble municipal leaders from Bristol, City of Kenosha, Downtown Kenosha, Inc. (DKI), Pleasant Prairie, Salem and Somers to develop a retail strategy team to advance best practices in recruitment of retail and mixed use opportunities. Each municipality team outlined targeted sites for development in collaboration with commercial real estate consultants, Jones Lang LaSalle (JLL). Marketing materials highlight impressive demographics to share with prospective retailers and developers. 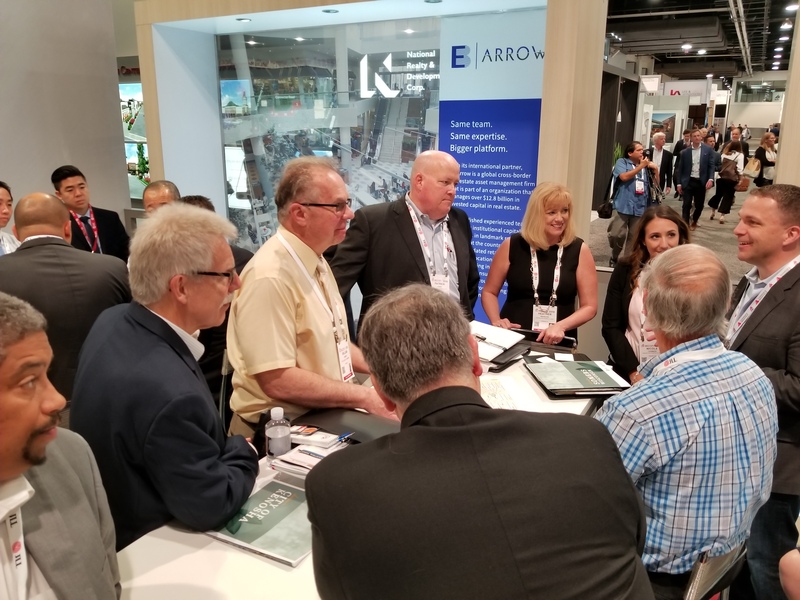 JLL positioned each community favorably for success by setting meetings with and hosting Kenosha County at the largest global gathering of retailers called the International Council of Shopping Centers (ICSC) RECon Event, hosted annually at the Las Vegas Convention Center. The Event happened last weekend and included the 11-member retail strategy team that showcased Kenosha County communities under a united front. The team secured 20+ meetings with key national developers and regional brokers to convey Kenosha County’s competitive advantages. A few developers and retailers had made investments in the past in Kenosha County but met with the Team to consider making additional investments. Some of these developers and retailers were glad to see new sites offered that were attractive but not immediately obvious for development opportunity. For other national developers and retailers, Kenosha County stood out as a significant opportunity in the Midwest to consider for expansion of their brands. The Retail Strategy Team remains focused on the demands of the growing housing market, attracting more restaurants, entertainment venues and specialty retail options. The goal of the Team is to secure additional investments that add tangible value to a community and retains its residents. As more people, employers and jobs are being attracted to the area, the Retail Strategy Team will continue to build momentum and create connections that further push Kenosha County into the national spotlight.